Please Call our Office to discuss your specific requirements. 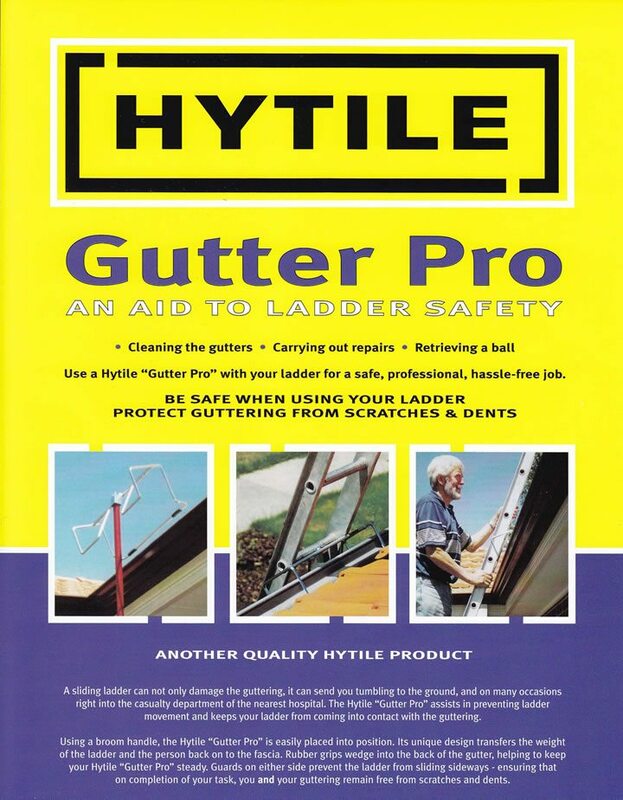 Only use Industrial Grade Single / Straight or Extension Ladders. 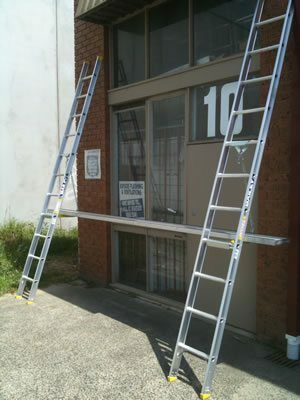 Pitch the Ladders at a Horizontal to Vertical slope ratio of 1:4. 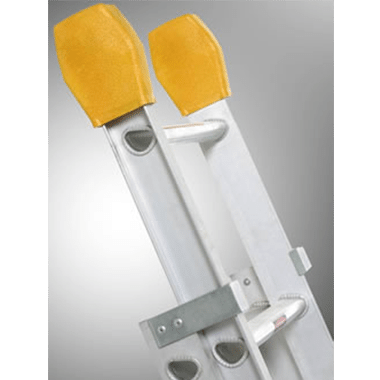 Make sure the Ladders are firmly footed on a hard level surface. 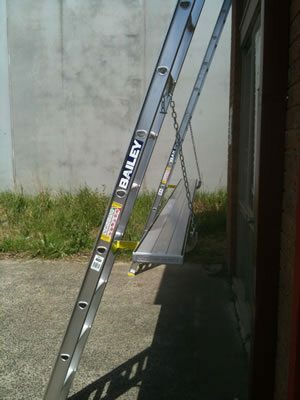 Ladders must be secured against movement in any direction. 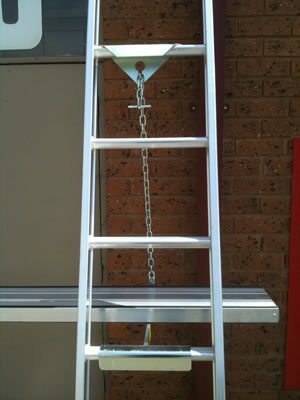 Keep the Horizontal distance between the Ladder Brackets to 2.4m or less. Make sure the planks are genuine scaffold planks in good condition. 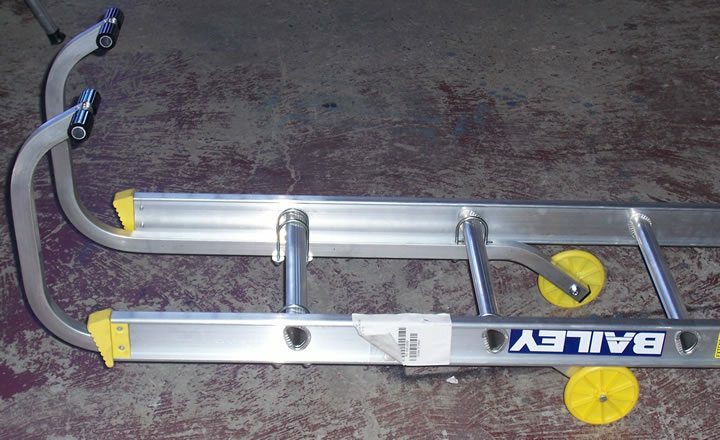 Never place a working platform at a height where a person could fall more than 2m. 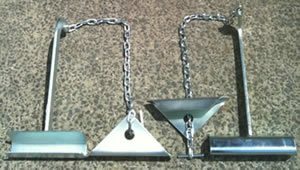 Provide barricades or other suitable controls to prevent traffic damage. No more than one person is to be supported in any bay of the scaffold. Do not stack materials on the working platform.